Last night was your turn to talk back to the Metro board, and talk back DC did. The meeting was a standing room only affair, with many turned away who hadn’t signed up to come to the meeting, and more still turned away to the satellite viewing center. It wasn’t always the politest of audiences, we’re told that the loudest cheers and applause came from the commenter who suggested the whole board resign, but it was mostly a civil discourse at Metro HQ. The best roundup we’ve seen so far has come from Unsuck DC Metro’s coverage, which said that though all choices were bad, but unequally so. 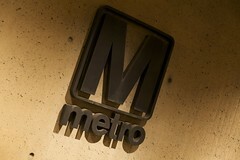 Metro has a hard road ahead, and last night was just a preview before the budget for FY 2011 comes. Were you there? What did you see?